The Office of Public Archaeology at Brigham Young University carried out excavations at the Steinaker Gap site, directly in front and at the base of the Steinaker Resevoir Dam. A significant cultural level was found at just over 3 m below modern ground surface. Associated with this level were numerous cultural features, including large and small pits, larger use depressions, and two ditches. Two of the pits each contained two human burials. Three of the burials were of infants, and the fourth was an adolescent. This occupation dates to ca. A.D. 300. A later occupation, dated to ca. A.D. 740, was found at a slightly higher level. At least two ditches were found in this level. This site represents the first concrete evidence for early Formative water control on the northern Colorado Plateau. Ancillary studies suggest the site occupants were growing and were partially reliant on maize. 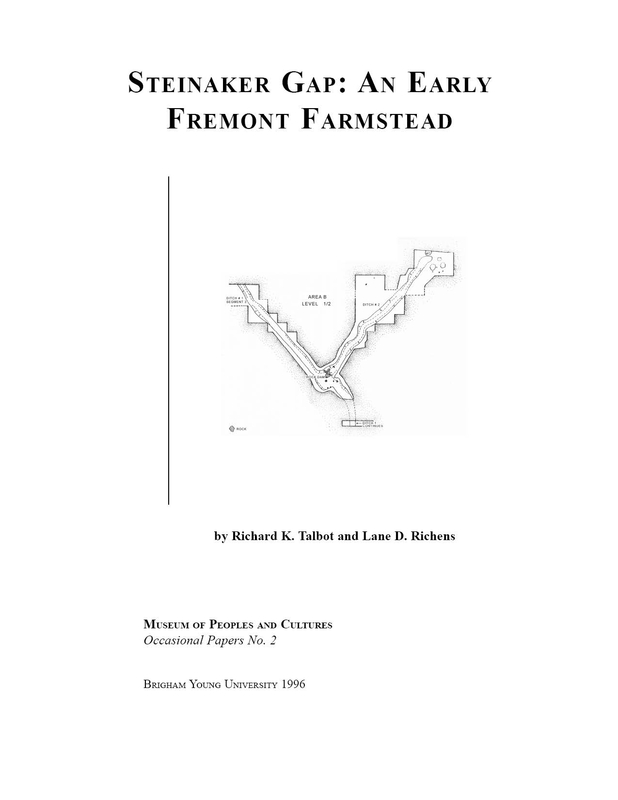 The cumulative empirical evidence indicates this site was an early Fremont farmstead.